Did you know that April is National Poetry Month? This annual celebration of poets – past and present – that began in 1996 with a distribution of poetry books across the country. So, what does this have to do with national park units? 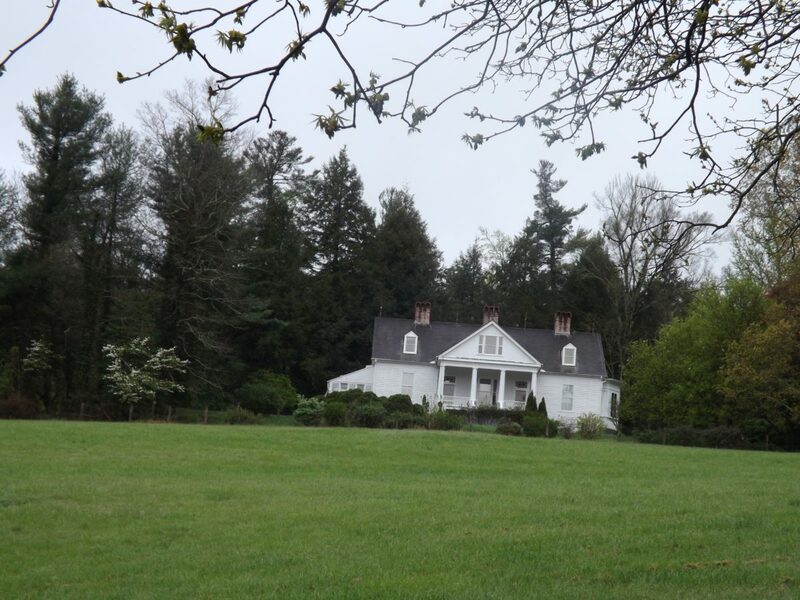 There are actually three national park units that recognize poets – Edgar Allan Poe National Historic Site in Philadelphia, Pennsylvania; Longfellow House Washington’s Headquarters National Historic Site in Cambridge, Massachusetts; and Carl Sandburg Home National Historic Site in Flat Rock, North Carolina. Many think of Carl Sandburg for his Pulitzer prize winning biography of Lincoln, but he also was a nationally known poet and winner of two Pulitzer prizes for poetry. 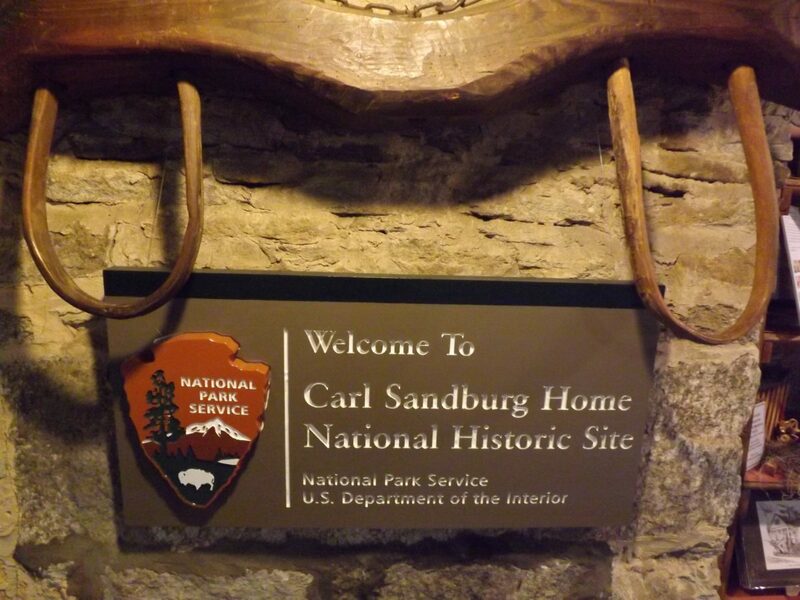 The Carl Sandburg Home National Historic Site celebrates his accomplishments and preserves the idilic setting where he wrote so many amazing stories. 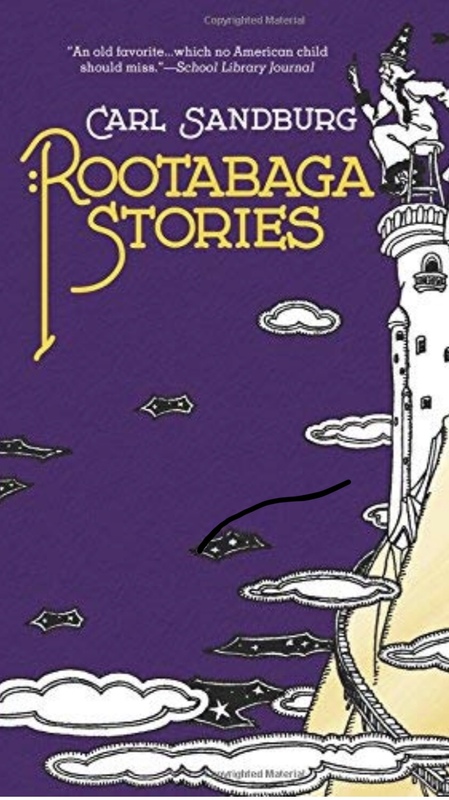 After our visit to Carl Sandburg Home, we picked up a copy of one of his children’s stories, written for his daughters – The Rootabaga Stories. If you have children or grandchildren, you would have fun reading them aloud. Published in 1922, they are fanciful and literate, whimsical and fun. Written in his own type of “nonsense language” these are American fairy tales. There are no castles, princes and princesses; instead they take you to a place with corn fairies, circus performers and pigs that wear bibs. They have a wonderful bookstore at the visitor center, of course featuring Carl Sandburg’s many works, the most famous of which is his Pulizer prize winning Abraham Lincoln: The War Years (4 volume set) that was published in 1939. It was interesting to learn that this is just one in over 15,000 books written about Lincoln. You can visit a bookstore in Washington DC that has piled books about Lincoln from floor to ceiling multiple stories high! 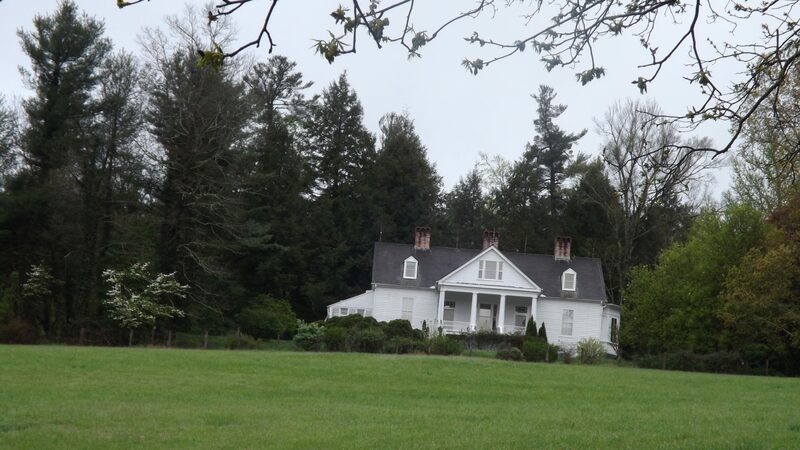 For reference, the home is about 30 miles from Asheville, North Carolina (a fun town to visit) and preserves his home and farm. His house is perched on hill overlooking a lake. It is a lovely place for a walk. There are five miles of walking trails. 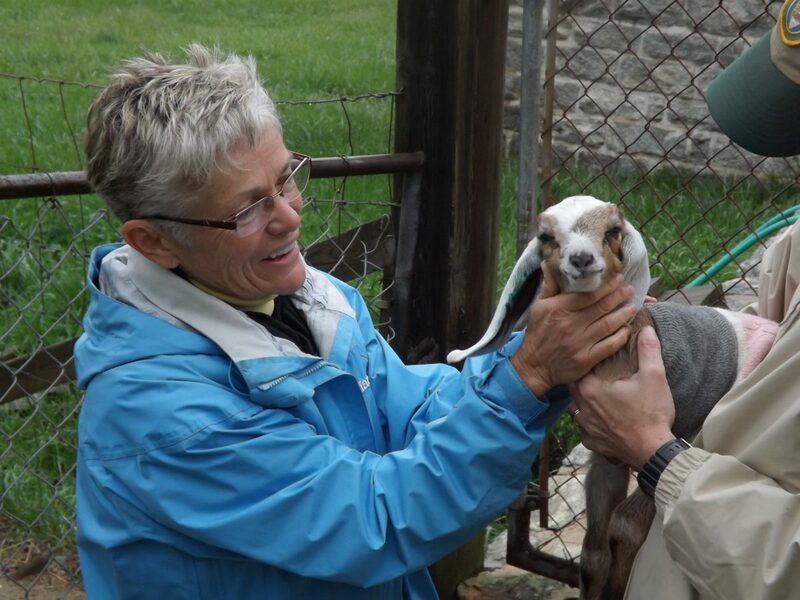 One of the highlights is a visit to the barns where his wife Paula raised champion dairy goats. They still raise goats there and if you are lucky you can meet some of them. The babies are so cute! You can also tour inside the home for a small fee. It was interesting to see where Sandburg wrote, at night in the attic where he wouldn’t be distracted by the beauty of the farm. He was nocturnal, writing all night, sleeping well into the day and then joining his family for dinner. It was an interesting way to live. One of the nicest things about this national park unit is how it encourages youth to get an appreciation of poetry. Each year the park puts on a student poetry contest, announcing a theme in December. Students from grades 3 to 12 can submit original poems, to be judged in age groups with the winners announced in April. We liked to see that the National Park Service is not only protecting and preserving natural beauty, but that it also preserves our heritage and encourages our children to appreciate it. 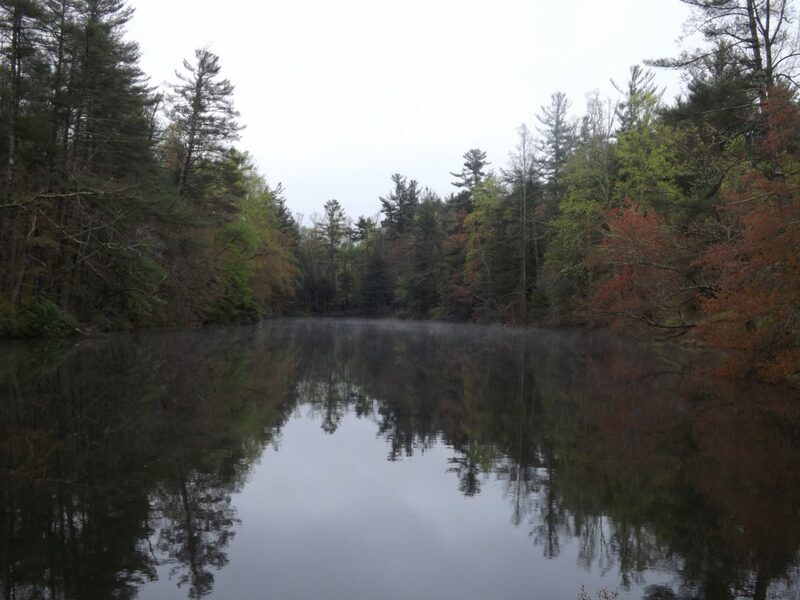 The poetry contest is just one example of the wonderful things the National Park Service is doing. We encourage everyone to get out and #SeeAmericaFirst!